The Life Science Centre at the Centre for Life in Newcastle is somewhere with a special meaning to Megan & Jimi, who visited in their early days of dating. 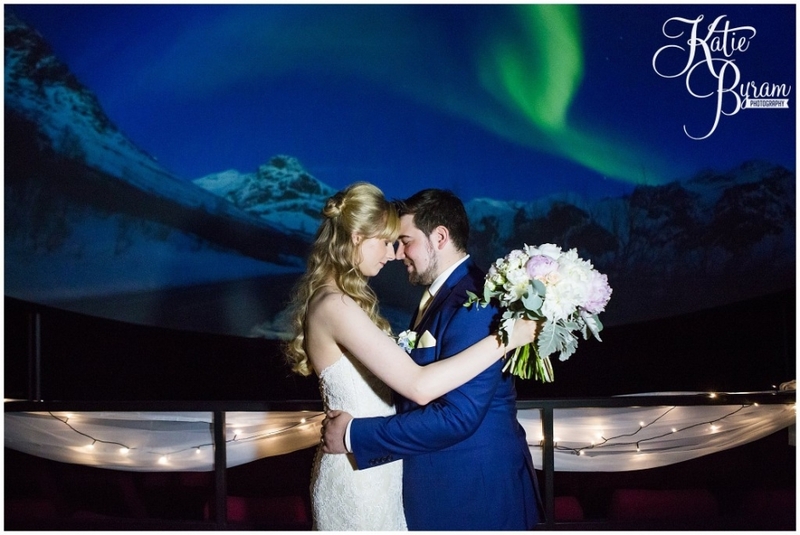 They chose to get married inside the planetarium, what a unique place for a wedding ceremony. 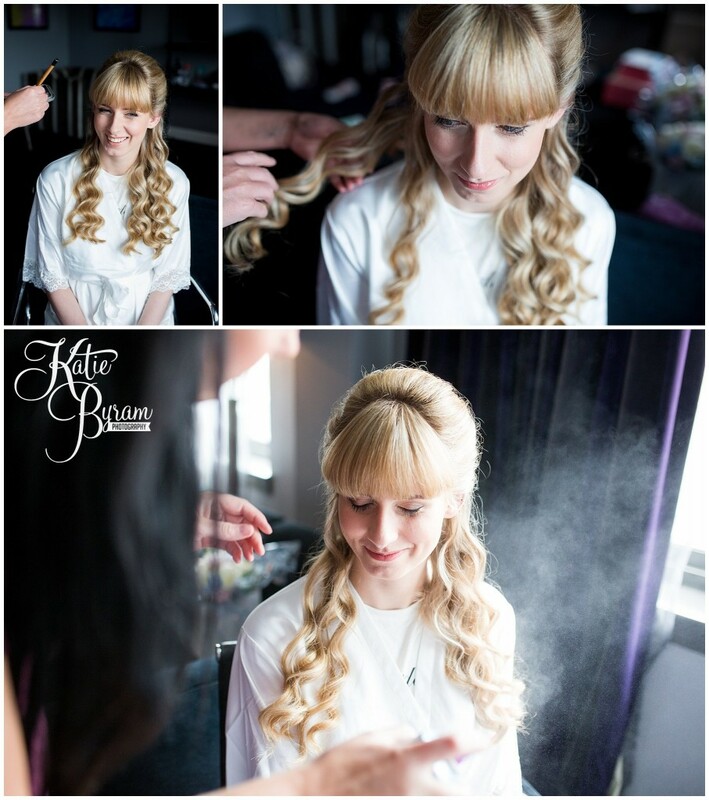 Over at the Malmaison on Newcastle Quayside, the bride and her bridesmaids, Jess & Leah were getting pampered by Maximillion Make Up & Hair who did a stunning job. The gorgeous peony & rose bouquets were created by Vicky at Floral Quarter in Gosforth, and were so fragrant! 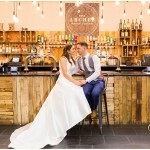 Megan’s dress was by Mori Lee with gorgeous lace in a champagne colour. Jimi was nervously awaiting Megan’s arrival inside the planetarium. When guests arrived, there was a shimmering night sky on display. As Megan entered, the scene changed to the Northern Lights, which was so beautiful. The menswear came from Moss Bros. Jimi teamed this up with a batman belt. The couple named their tables after constellations, and each guest received a chocolate pop cake from Sticky Sponge. The three wedding cakes were also from Sticky Sponge including a galaxy themed cake and one with hand painted floral detail. Jimi’s Dad also created a moon booth! After the meal, we had an opportunity to take some photographs around the science centre after hours. There was a dinosaur exhibition ‘Dinojaws’ on display which Megan & Jimi were very excited about! We also couldn’t help ourselves in taking a few comedy photographs. 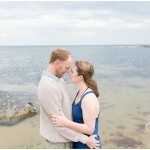 There was even an optical illusion set up to take photographs of…Megan & Jimi jumped at the chance to have a fun photo! Megan changed into her evening gown, a gorgeous floor length beaded number in such an unusual colour. 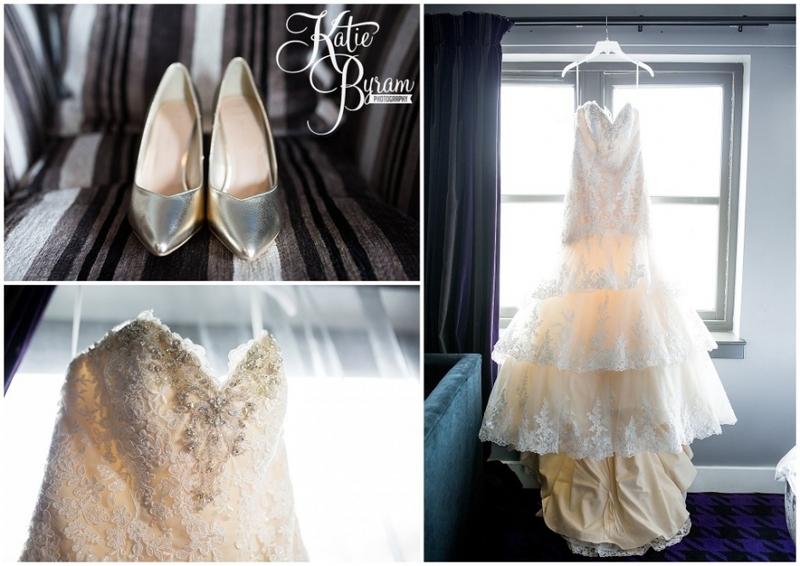 The dress came from Serenity Bridal & Beauty in Newcastle. As it got darker we headed outside for some sparkler fun. A big thanks goes to Victoria of Whiteleaf Photography for assisting and second shooting. A huge congratulations to Megan & Jimi on their marriage and thanks very much for having us as your wedding photographers! 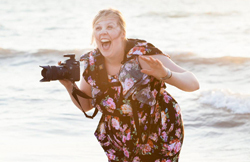 Images must not be used without written permission from the photographer.